As you’ve probably noticed, succulents are IN! From wedding bouquets and hanging planters to wreaths and mini terrariums, these plants are popping up all over the place! The only problem is that succulents can be tricky plants to keep alive. If you don’t have a green thumb, try your hand at paper succulents instead! With our brand new Cricut® Flower Market collection, you can create all the trendy succulent projects you see on Pinterest without any of the maintenance. By using different colors of cardstock and daubing a bit of ink around the edges of the succulents for shading, they look even more realistic. 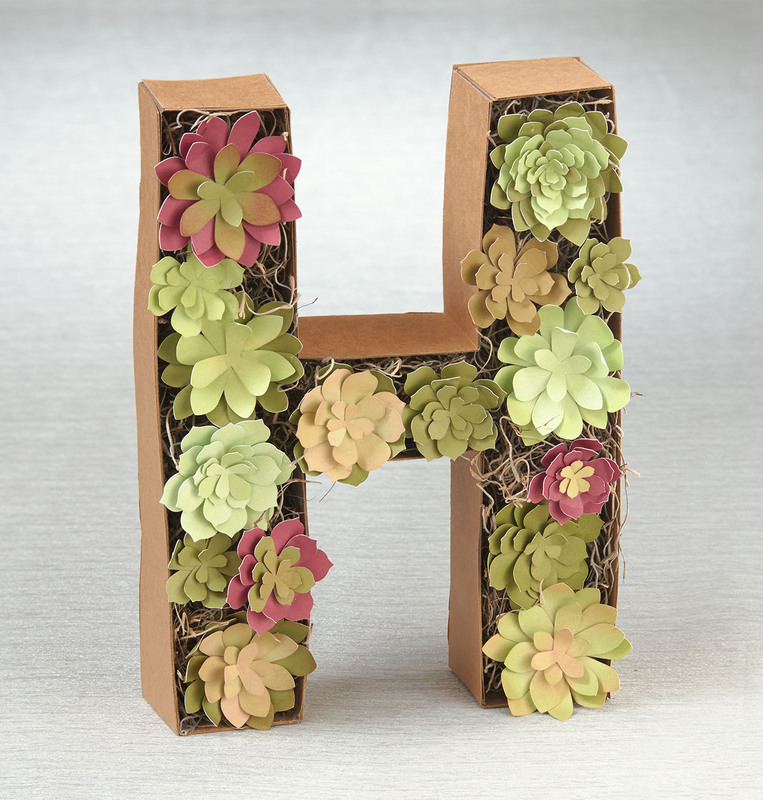 You can also use these succulents in a wide array of home décor projects, like this cute succulent monogram. The collection features 700 images, including a brand new font! 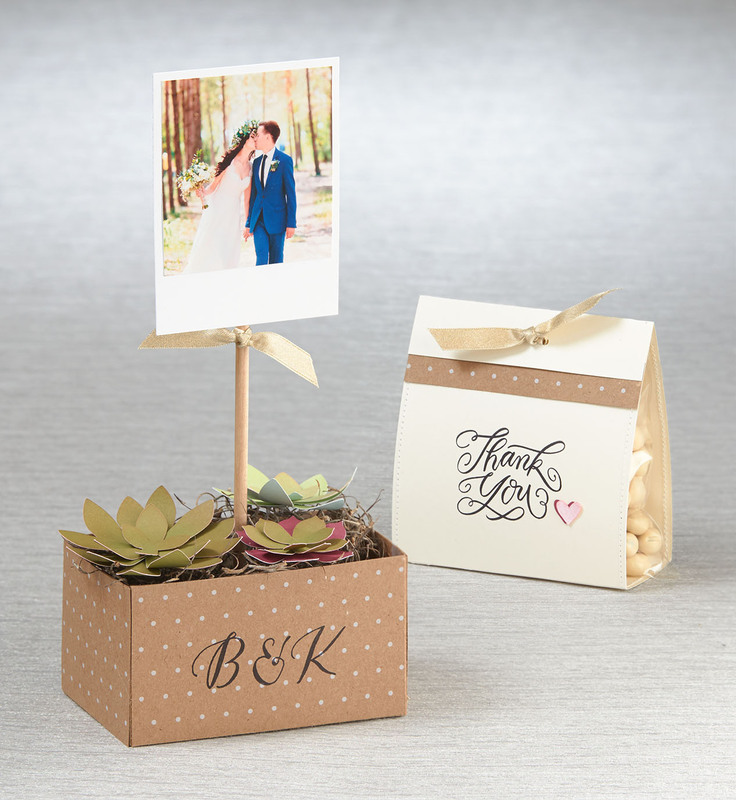 Each key of the collection contains all the cuts you’ll need for a coordinated card, scrapbook layout, or 3-D project. These cuts include layers to create a flower, a container for the flower, accents and a background, and a title piece, all of which tie into the same theme. 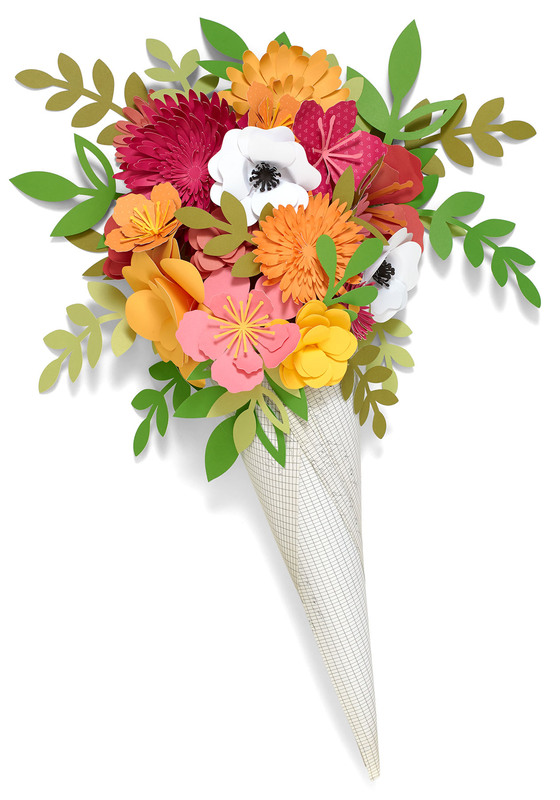 We’ve made layering your flowers easy! All you have to do is enter the size of the finished flower you want for each layer of the flower, and it will cut the layer accordingly (so long as you have Real Dial Size off). When you purchase the collection, you also get the Adventure cardstock combo pack, featuring our brand new colors, and three exclusive D-size stamp sets. Get your hands on this Cricut® collection, and have fun creating paper succulents and more for your scrapbooks, cards, and home. wow, i never saw the beauty in cacti before! so gorgeous! LOVE these projects!!! Wish I could afford to buy Cricut 😉 But thanks for the ideas! How was the H made? Is there a template? I love Flower Market, thank you for sharing!